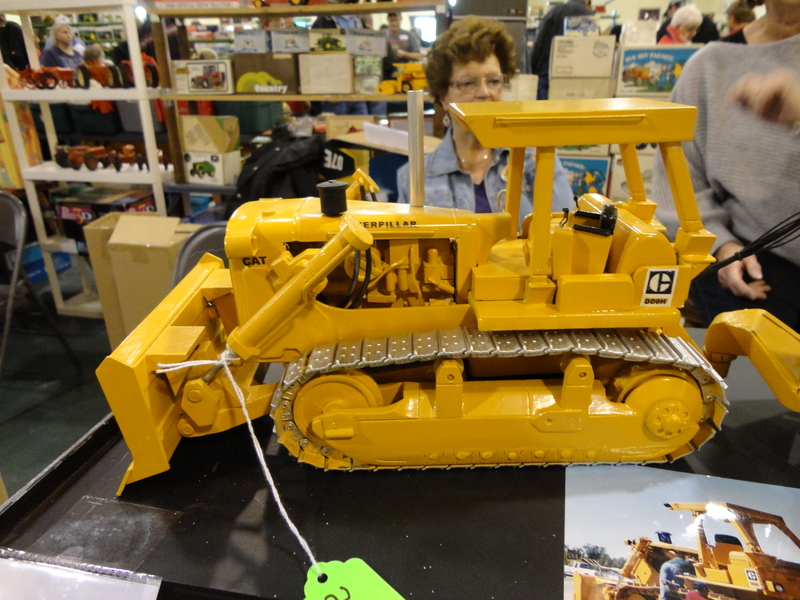 The first weekend in November, Dyersville, Iowa is flooded with toy collectors that come to visit the National Farm Toy Show. Thought of as the Granddaddy of all toy shows, collectors come from all over the US and even from around the world to attend this annual event that is hosted by Toy Farmer Magazine. The event is held at Beckman highschool and the National Farm Toy Museum. Events include a Saturday toy auction, a farm layout and scratch built model contest and exhibitors with almost any kind of farm toy you can imagine! Outside the toy museum vendors set up with their farm toys, literature and memorabilia and crowds gather to sort through and find just what they are looking for. This is a chance to see what is new in the farm toy scene and meet and greet collectors and the talented toy makers and modelers. Check out the event that attracts over 15,000 visitors each year. I cover the event for Toy Farmer and Farm World. I hope to see you there! Information is available at http://www.toyfarmer.com/events/index.html.